When philosopher Ralph Waldo Emerson said that America “begins west of the Alleghenies,” he didn’t mean the East wasn’t part of the U.S. He meant that America’s identity, at home and abroad, focuses on the “Wild West.” There’s much truth to that, despite the West having a much smaller population until this past century. Hollywood didn’t film thousands of “easterns” or recycle formulaic backlot movies about coal miners. Colleges don’t teach Eastern History. Eastern Europeans drive pick-ups to American-themed bars to hear country music, not Corvettes to hear Sinatra or Elvis. Average Annual Rainfall in U.S. It took over two hundred years for Euro-Americans to work their way from the eastern seaboard to the “Mighty Mississippi” and they were mostly ignorant about the area beyond the river. Among the Founders, Thomas Jefferson was most interested in the trans-Mississippi West but even his knowledge of the area was fuzzy. In 1804-6, the Lewis & Clark Expedition Jefferson sent west mapped much of the northern part of the region and one of its members, Zebulon Pike, branched off from the return trip to explore the southern Rocky Mountains. Pike didn’t do much to whet fellow Americans’ appetite for the flat plains just east of the mountains by mentioning he’d seen “not a stick of timber.” In 1823, Army surveyor Stephen Long named those future Great Plains the Great American Desert. Long’s term was a bit of an exaggeration, but it spoke to the truth that the West was mostly arid. 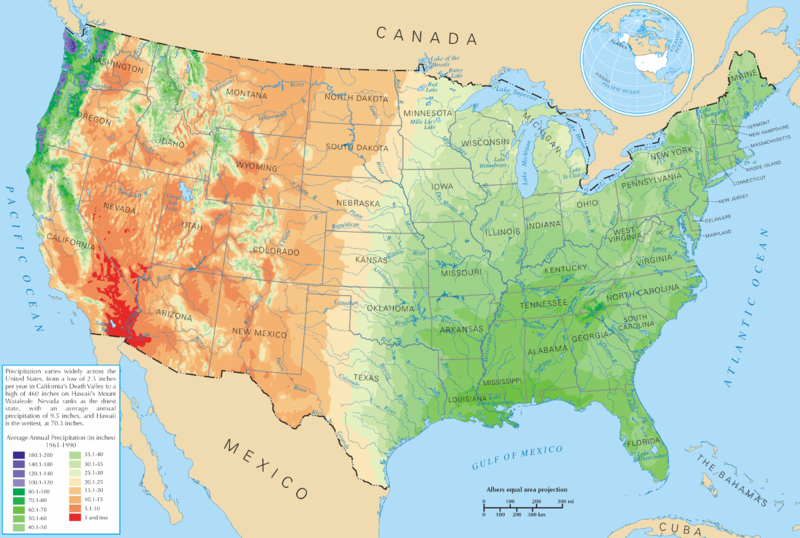 The map on the left shows average annual rainfall in the Lower 48. 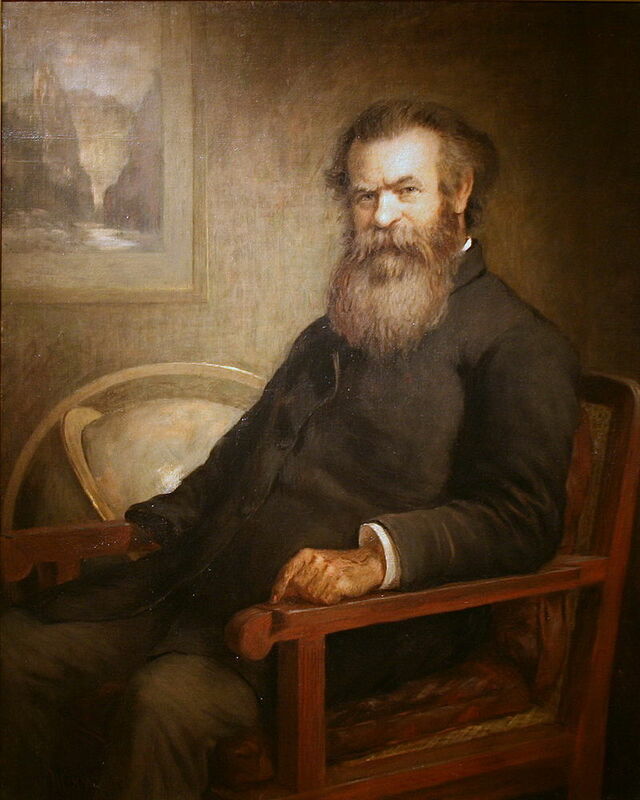 In 1869, Grand Canyon explorer John Wesley Powell accurately predicted that “many seasons in a long series will be fruitless” on either side of the Colorado River. 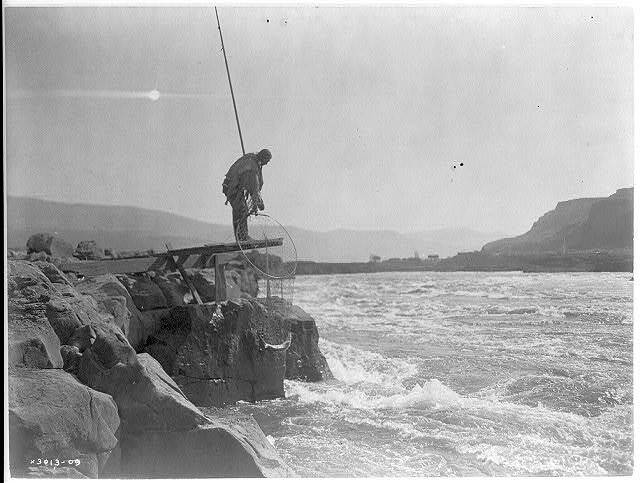 More seasons would’ve been fruitless without the work of the Bureau of Reclamation (1901- ) that dammed and diverted water on either side of the river. Powell later directed the U.S. Geological Survey (USGS) that planned a systematic mapping of resources to avoid a “heritage of conflict and litigation over water rights.” However, the USGS lost funding when one of its expeditions discovered dinosaur fossils and Congress opposed wasting taxes on “atheistic rubbish.” To this day, Westerners fight over water rights. 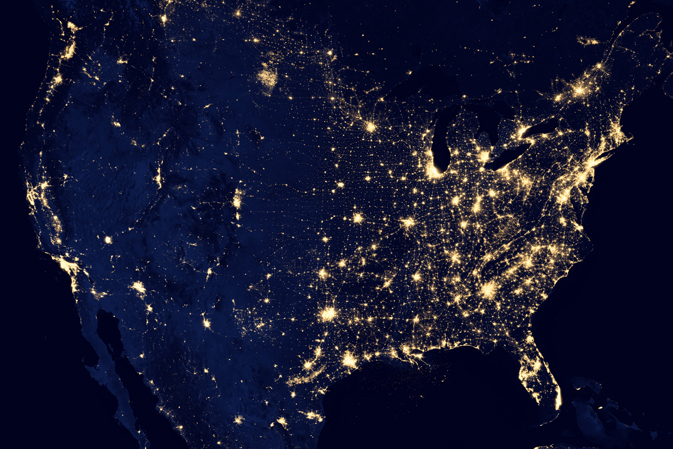 As this NASA nighttime “black marble” satellite image shows, even today the interior West is less populated than the West Coast and East (the bright lights in North Dakota are flares from the Bakken Formation). The U.S. might run low on water, but it’s not about to run out of space. The West gave way to settlement faster than the East had because the railroad and telegraph tamed its vast geography in the 1860s. In the early to mid-19th century, though, the West was mostly untamed territory, claimed by many (Indians, Mexicans, Mormons, British, Americans), but not really controlled or governed by anybody. This was the region German painter Emanuel Leutze captured the tail end of in Westward the Course of Empire Takes its Way, whose giant canvas now graces the House Chamber staircase in the nation’s Capitol. The painting is commonly known as Westward Ho! By the 1810s and 20’s, mountain men trapped in the Rockies, where cold weather and high altitudes made animal furs thicker. They lived solitary lives, using sign language to communicate with Indians and gathering once or twice a year to rendezvous and sell their pelts. Some married Indian women and were content to stay away from white civilization. Like the cowboys of the next generation, eastern corporations employed most of these seemingly independent men. They fed the European fur market until killing off most of the beaver. Some of the early traders, especially Jedediah Smith in the late 1820s and later Kit Carson and John C. Frémont, mapped routes along familiar Indian trails that later settlers used for overland trips. Today, highways follow some of those same routes. As far as American or European settlers, the sort that farmed and built towns, few people ventured into the Trans-Mississippi West. Railroads still lacked a common gauge, and Northerners and Southerners couldn’t agree on where to build a transcontinental route. 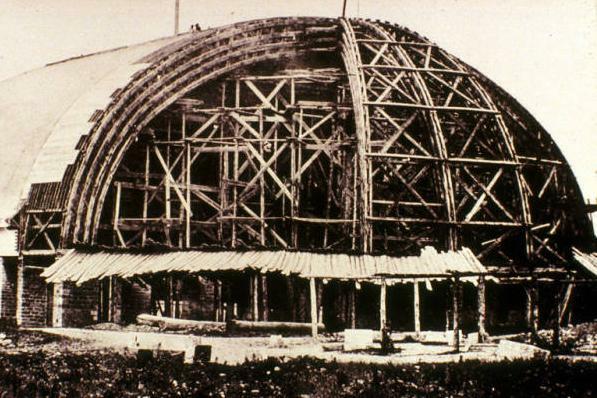 Even if they had, significant engineering challenges would have made it difficult to build. Dynamite wasn’t invented yet and the country lacked the immigrant labor force that made construction possible in the 1860s. The U.S. government didn’t have much presence there either and neither did Mexico’s. What made the West as wide open politically as it was geographically was that neither Washington nor Mexico City was near enough to effectively extend its reach. London and Moscow weren’t even close. 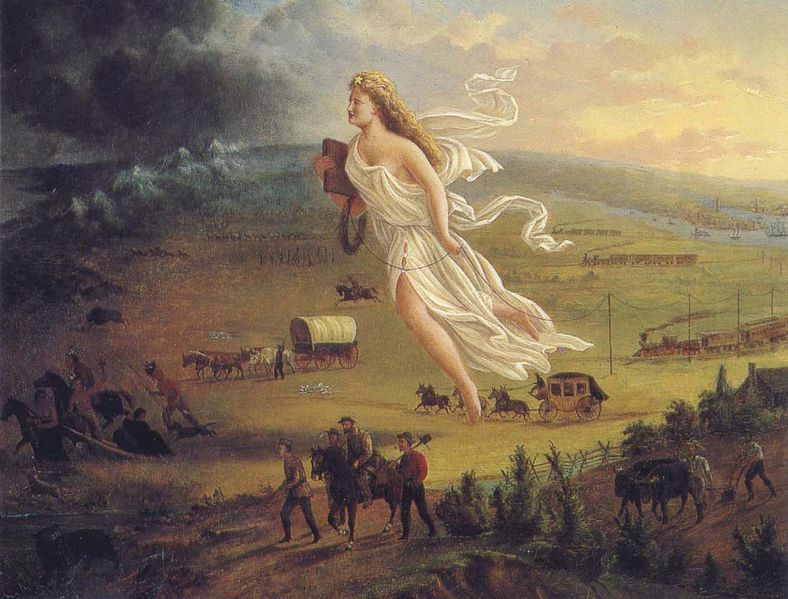 With the advent of better farming implements and victory in the 1832 Black Hawk War, Whites settled the prairie states of the upper Midwest in the 1830s and 40’s. But there was little motivation to venture beyond the Missouri River. Take a moment to scroll over the 1840s on this Timeline. The Sante Fe Trail connected Missouri to the fur trade starting in 1821, but there wasn’t much beyond that in terms of roads, canals, or towns. And there was the aforementioned lack of timber and water in most non-mountainous pockets of the West. Since the Pacific and West Coast were more accessible than the mountainous and desert terrain in between, the American frontier didn’t progress uniformly from east to west. American missionaries and sugar planters settled Hawaii in the 1820s, but Whites didn’t settle the Great Plains until after the Civil War. San Francisco, Portland, and Salt Lake City are older than Denver, Kansas City, and Omaha. By the end of the Jacksonian era, with Texas opening up and many farmers losing their land in the Panic of 1837, there were ample motivations for Americans to head west. These motivations mostly matched those that compelled Europeans to explore and settle America in the colonial era: opportunity, precious metals, religious freedom, missionary work, and land. In addition, growing competition between Northerners and Southerners to control the country accelerated western expansion as they raced each other into the region. 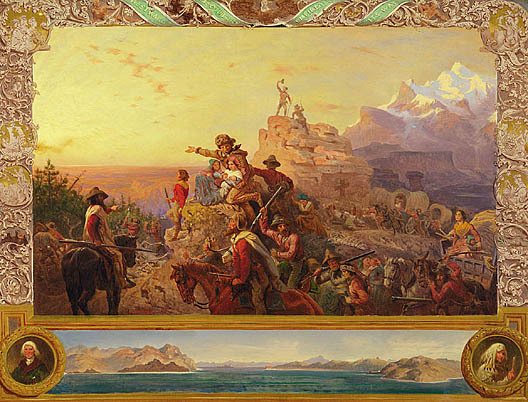 The notion of Manifest Destiny, a phrase coined by New York journalist John L. O’Sullivan, gave a convenient ideological cloak to expansion — that God ordained that American Protestants spread west and overrun Indians and Catholic Mexicans. John Gast’s American Progress captured the idea best. Civilization, as represented by Columbia in virginal white, is carrying progress west in the form of a Bible, railroad, and telegraph wire. To the east (America) is light, whereas Indians on the left are in the dark, bending in the direction of the oncoming American civilization. Multifarious characters and miscreants could work as fur trappers, scouts, and miners, but when women and infrastructure arrived on the scene, churches, schools, and law-and-order soon followed. It’s easy to forget, though, that most of the settlers who went west were leaving the United States, even if some correctly assumed the area would eventually be annexed. Of course, an esoteric concept like Manifest Destiny wasn’t rolling off the lips of your run-of-the-mill trailblazer in the 1840’s and 50’s; most had likely never heard of it. Nor was there ever a consensus about the idea in the 19th century among leaders, and most Whigs/Republicans opposed expansionists’ policies when they got wrapped up in the Democrats’ push to expand slavery, as we’ll see in the next chapter. 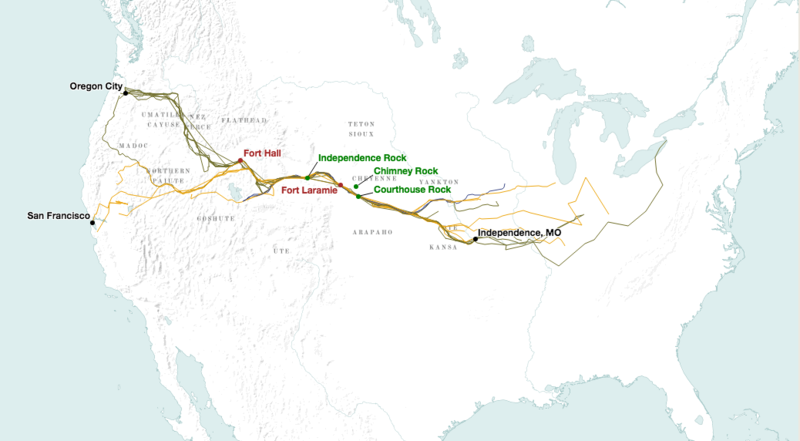 Going east to west wasn’t easy before the transcontinental railroads. 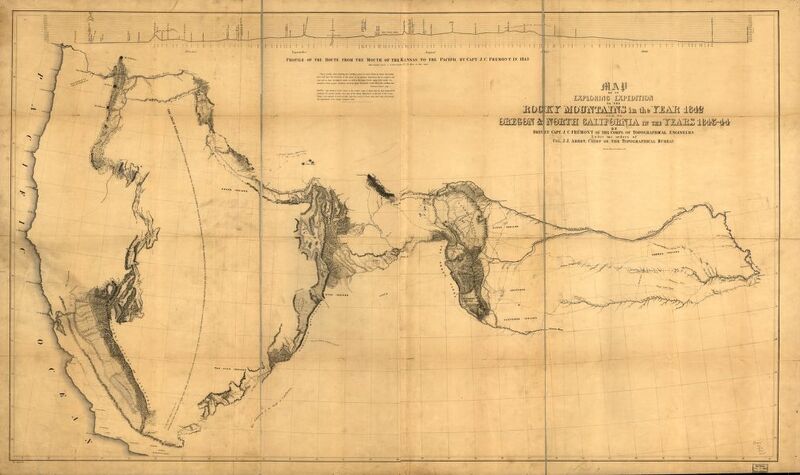 Water routes around Cape Horn in South America were lengthy and dangerous, and crossing the Panamanian Isthmus presented challenges of its own before the canal opened in 1914. 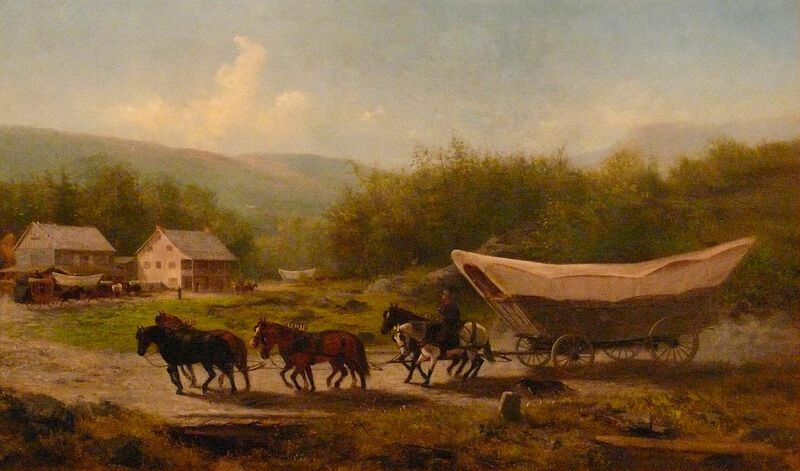 In the 1840s, for around $600 (~$5k in today’s money), a family could outfit a Conestoga Wagon for the Oregon Trail. By the late 1850s, you could take an easier, $4k one-month stagecoach trip from St. Louis to California on the Butterfield Overland Mail Trail that followed a southerly route through northwest Arkansas, Texas, and the desert Southwest. The Overland Trail was an alternative, overlapping route to the Oregon Trail commonly used by the 1860s. Those that could walk on the Oregon Trail did so to avoid weighing down the wagons that required constant maintenance to fix wheels, axles, and tarps. Wooden wheels expanded or contracted in extreme weather, causing more headaches. Indian attacks were few in comparison to what later settlers experienced since the wagon trains were only passing through. 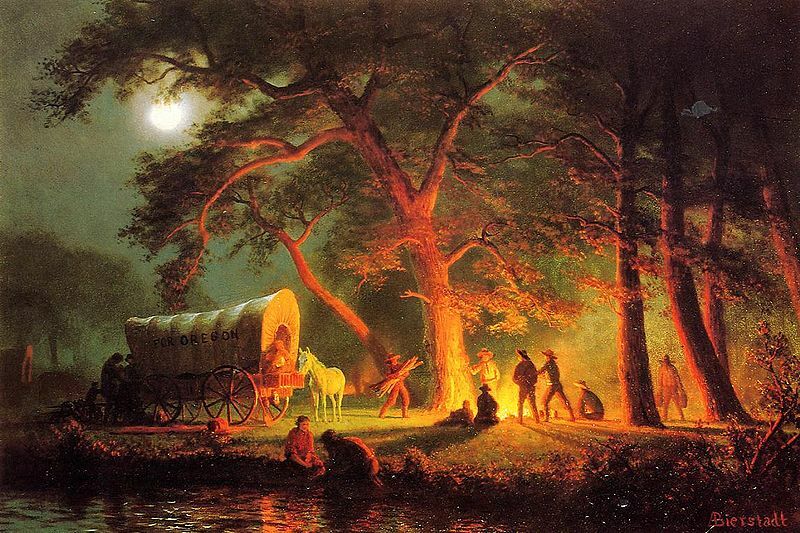 When attacks did occur, pioneers “circled their wagons” for protection. Trips lasted around five to six months, with wagon trains leaving late enough in the year for the grasses on the Plains to feed their draft animals, and early enough (hopefully) to avoid winter storms in the second range of mountains, the Cascades and Sierra Nevada. The Sierras can experience dramatic weather fluctuations regardless of season when storms from the Pacific collide with the mountains. The famous Donner Party was trapped in the Sierra in an early November snowstorm after being sold an untested “shortcut” map of Nevada. They resorted to cannibalism before survivors stumbled out of the pass the following spring. In less extreme cases, snow could scare game away that trekkers relied on for food, as the animals migrated or went into hibernation. At their peak, thousands plied the well-worn trails in a given year. In the mid-1840s, congestion backed up the Oregon Trail in the summer. Oregon beckoned farmers hurt by the 1837 Panic and others just seeking new opportunity in the fertile fields of the Willamette Valley — advertised back east as a “land of flowing milk and honey.” This was one area that wasn’t arid in the least. 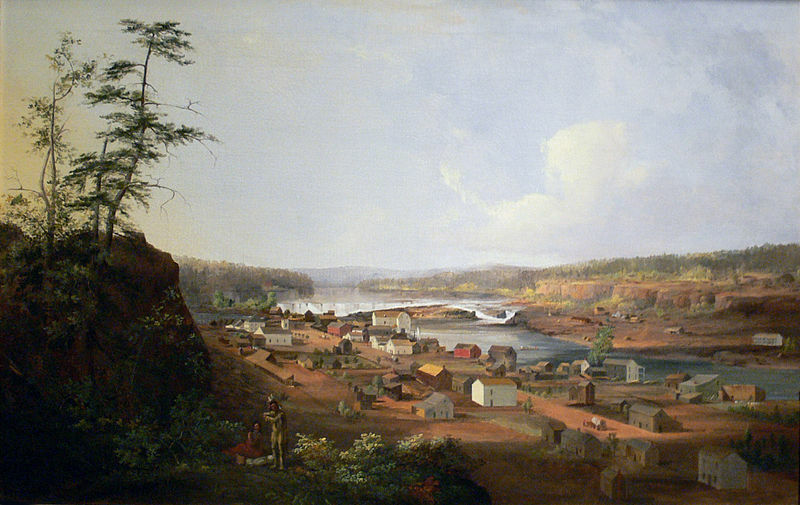 The valley stretched south from their settlement at present-day Portland, or what they first called Oregon City. Some of the New Englanders who moved there wanted to name the new town at the confluence of the Willamette and Columbia Rivers Boston, but they lost out to people from Portland, Maine in a coin toss (the Portland Penny is on display at the Oregon Historical Society). The Oregon Country included what we now think of as the entire Pacific Northwest, including Oregon, Washington, Idaho, a smidgen of western Montana, and all of (Canadian) British Columbia. It was a vast region sparsely populated by Indians who relied mainly on fishing and a smattering of white fur traders and missionaries. Britain also made a claim on the area. Russia colonized as far east as Alaska, but Oregon was too far from Moscow for them to make any reasonable claim. The British and Americans decided on a novel plan, agreeing in 1816 to share the Columbia District for thirty years and argue about it later. In the meantime, most of the new settlers who moved into the southern portion of the territory were Americans. Because the Oregon Trail brought together strangers in close proximity, it conveyed diseases. Measles and smallpox moved up and down the crowded trail, killing hordes of children, especially. To this day, tombstones mark portions of the trail. 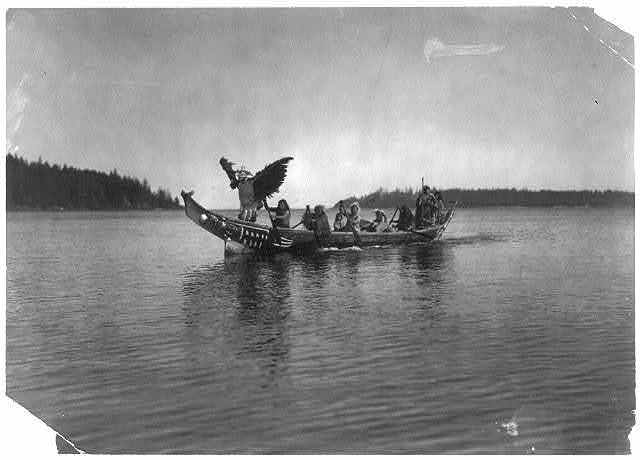 Eventually, these afflictions made their way to the end of the route, affecting Indians in Oregon and complicating the efforts of missionaries there. Western expansion coincided with the latter Great Awakening and Protestant missionaries like Marcus and Narcissa Whitman helped blaze the original trail west through the Rockies. In Oregon, they competed with Jesuits hoping to convert natives to Catholicism. Each side tried anything they could to convince Indians that the rival form of Christianity would lead them to damnation. Unable to overcome the language barrier, they showed Indians drawings (calendars they called them) to describe their respective faiths. The Protestant drawings depicted Martin Luther leading followers to Heaven with a Pope beckoning them to Hell. The Catholic version was essentially the same drawing upside down. Some missionaries threatened to turn off waterfalls if Indians didn’t convert, while others, out of desperation, threatened germ warfare. While they didn’t actually have diseases at their disposal, some threatened to uncork vials of smallpox on Indians skeptical of Christianity. That came back to haunt the missionaries when smallpox and measles spread into the area for real. Naturally, some Indians suspected that they had inflicted them deliberately. At Fort Walla Walla, in present-day southeastern Washington, Cayuse Indians killed a dozen Protestants in the Whitman Massacre. They cleaved open Marcus Whitman’s skull with a hatchet to release the evil spirits they thought dwelled there. Like the more famous Battle of Little Big Horn a generation later, the massacre played well into Americans’ agenda. It sanctioned retribution, leading to the deaths of many Northwest Indians in the ensuing Cayuse War and in spinoffs further south like the Rogue River Wars. They moved survivors onto reservations. 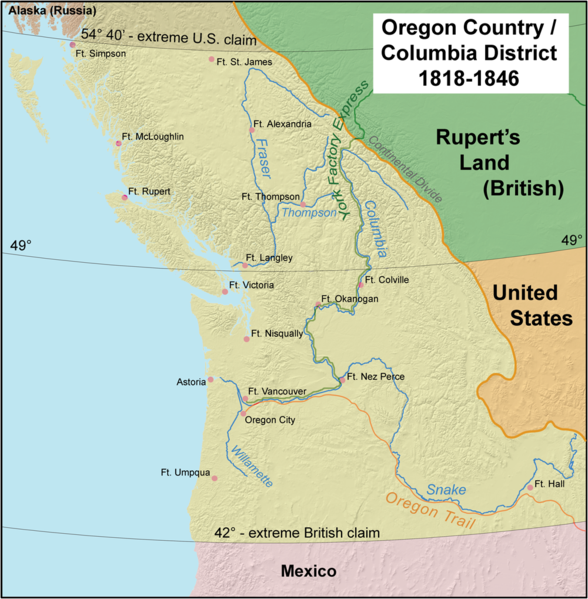 As for who ultimately controlled the area, Americans and British agreed to split it 50-50 in 1846, with the British getting British Columbia and Americans getting the portion south of the 49º Parallel later subdivided into Oregon, Washington, and Idaho territories. 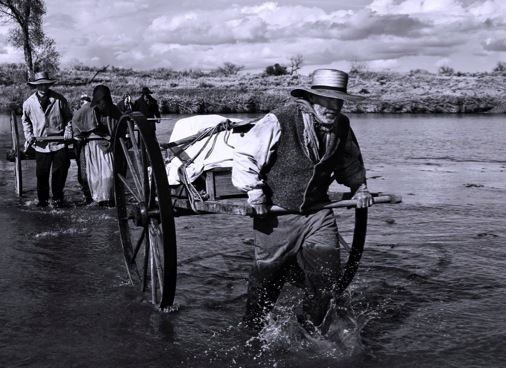 The Oregon Trail included Mormons, a hardy group of religious refugees who schlepped their belongings across the Rockies by hand in the dead of winter. Mormonism grew out of the Great Awakening like dozens of other new denominations, but its story is especially interesting because it’s now the world’s fastest growing religion and it was important then because Mormons were trailblazing western pioneers. 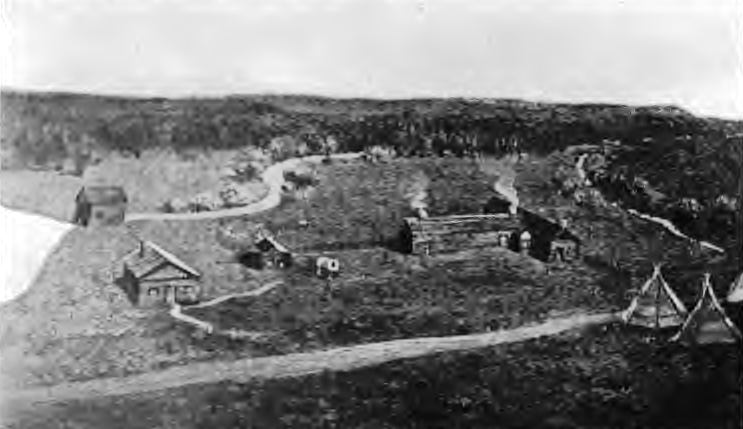 Mormonism’s upstate New York birthplace was interesting in its own right because the Great Awakening spread there like such wildfire that it became known as the Burned-over District. Shakers, Millerites, Jehovah’s Witnesses, and Spiritualists also called the area home. 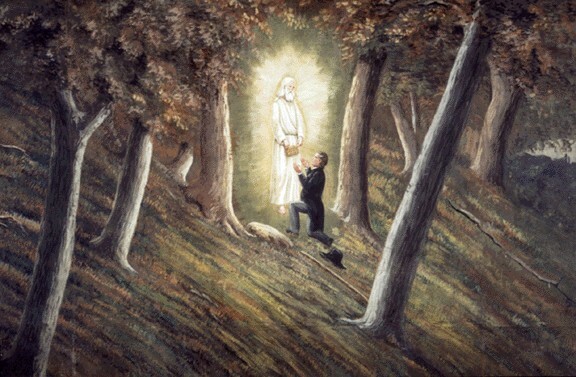 Joseph Smith started the Church of Jesus Christ of Latter Day Saints (LDS) there in 1830 after claiming to receive a series of dispensations (revelations) from the angel Moroni on the Hill Cumorah, who helped him translate gold tablets into the Book of Mormon (re-titled by the LDS in 1981 as Book of Mormon: Another Testament of Jesus Christ). Moroni told Smith he’d lived in the Americas in the 4th-5th century CE but was originally from the Pleiades star cluster. Like his father, Smith was a scryer, meaning that he interpreted omens, signs, or instructions on how to find hidden treasures by peering into peep stones, sometimes in the bottom of a top hat in order to see them better. He denounced scrying after being sued as an imposter by a Pennsylvania farmer upset over their failure to find silver with the method. Eighteen months later, Smith found the gold plates under a rock, which he translated into English with magic glasses Moroni supplied. Others said he used peep stones for the translation. He wouldn’t show skeptical editors the tablets, only the chest he said contained them, and said they were in a difficult-to-decipher form or Egyptian rather than Hebrew. There were no witnesses to the angel visitation besides Smith and the translation reads in a similar style to the King James Version of the Bible. According to Mark Twain, portions of the Book of Mormon were plagiarized directly. The LDS also considers the KJV Bible a sacred text, along with its Doctrine & Covenants, and the Pearl of Great Price. The Book of Mormon told how one of the Lost Tribes of Israel had made their way to America 600 years before Christ. The groups splintered and fought each other. Before their ultimate demise, the losing group’s leader, Mormon, recorded the story. God punished the victors by darkening their skin and turning them into the Indians who later greeted white explorers. Christ himself appeared in the Americas shortly after his resurrection (3 Nephi 11). Smith’s bible also described the planet/star Kolob as the heavenly body nearest to God’s throne, and where Earth was created 6k years ago before being relocated to its current solar system. Mormon director Glen Larson later featured Kolob in his Battlestar Galactica TV series (1978, 1980 & 2003-9). Smith, a Freemason, added several Masonic-like rituals to the Mormon’s ceremonies. The persecution Mormons suffered at the hands of other Americans helped forge their bonds, as has been the case with other religions in other places, but numerous early followers nonetheless became disenchanted with Smith after he led the group to Kirtland, Ohio. Smith led a revamped group to Jackson County, Missouri in 1838, where Mormons encountered some of the harshest persecution ever aimed at an American religious sect. After several violent disputes between Mormons and local “Gentiles” as they called them, the state’s governor issued an extermination order, Missouri Executive Order 44, to kill all Mormons or drive them out of the state. They escaped and thrived by building Nauvoo, Illinois, a bustling city on the Mississippi River. There, Smith had another dispensation, this one instructing Mormons to embrace polygamy, a tradition common in some parts of the world but not in Western civilization. He claimed an angel of God appeared before him with a drawn sword and commanded him to preach polygamy or face destruction. One story is that Smith’s own wife didn’t approve and/or demanded her right to have multiple husbands. Both Smiths denied that Joseph himself ever had multiple wives. In any event, polygamy gave mainstream Christians more cause to scorn Mormons beyond their holding of communal property and a third testament grafted onto the Judeo-Christian Bible. 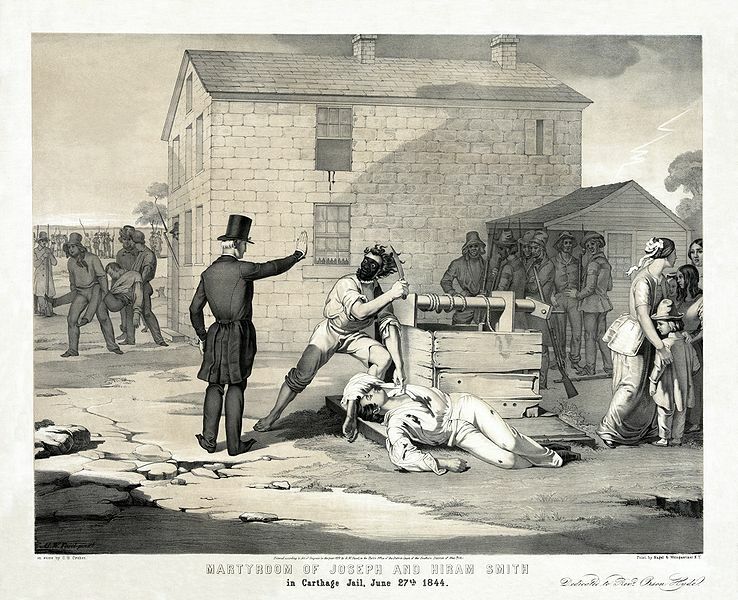 An angry mob broke into the jail in nearby Carthage where Smith was being held for destroying an opponent’s press in 1844. They killed him and his brother Hyrum after getting him out of the second-floor window. Either they dragged him out or hit him in the head with a rock and he fell out. 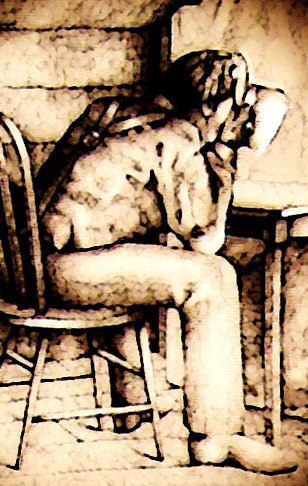 Artistic renditions of Smith’s death vary widely. Some show him martyring himself by leaping out the window while others have a beam of light from heaven protecting his body from mutilation. Mormons found that American religious freedom had its limits and left the country for a sparsely populated part of northern Mexico later called Utah. Some escaped to Texas but most followed their new leader Brigham Young, head of the polygamist faction, to found their own country. The “Mormon Moses” led his dedicated band west through the snow in 1846-47, breaking through South Pass in the Rockies and declaring the Salt Lake Valley in the Great Basin as their new Zion (Jerusalem), or Promised Land. More handcart pioneers followed in the 1850s, laboriously hauling two-wheeled carts all the way from the railroad’s western terminus at Iowa City across the Plains and Rockies to Utah. Salt Lake City quickly grew into the most prosperous city in the West, with beautiful homes, broad boulevards, little crime, and a large tabernacle built over a series of years like the Gothic Cathedrals of Europe, if more rudimentary. 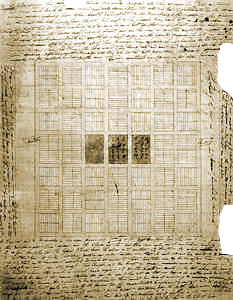 Inspired by their fallen leader Smith’s Plat of the City of Zion (in turn inspired by Jefferson’s Northwest Ordinance), they created a grid of dispersed urban farmers. Young ordered that the streets be wide enough for a wagon to turn around without “resorting to profanity.” Elsewhere in the Great Basin, they applied Smith’s Plat to Orem, Moab, St. George, and Provo, Utah. Mormons were tough and resourceful. They overcame a plague of crickets and irrigated the Salt Lake Valley, transforming the desert into fertile farms. 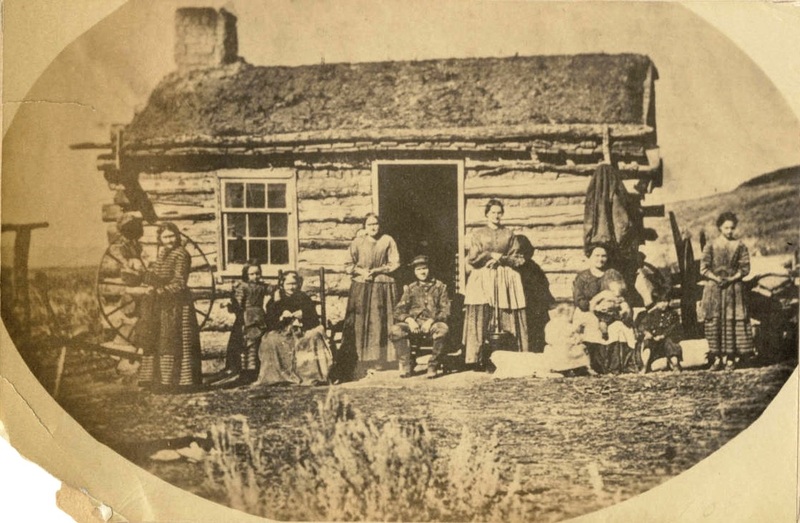 Polygamy hadn’t helped Mormons much in Illinois, but its utility became apparent out west. Frontiers, in general, kill off more men than women, and polygamy provided widows with new homes. Also, Missourians had killed mainly male Mormons after Executive Order 44, leaving many widows without homes. 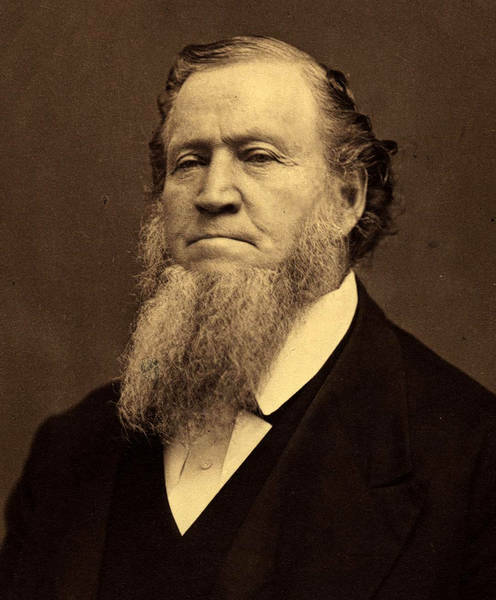 For a while, the Latter-Day Saints were safely out of the government’s reach but, by the 1850s, the U.S. viewed the sect as a thorn in their side. 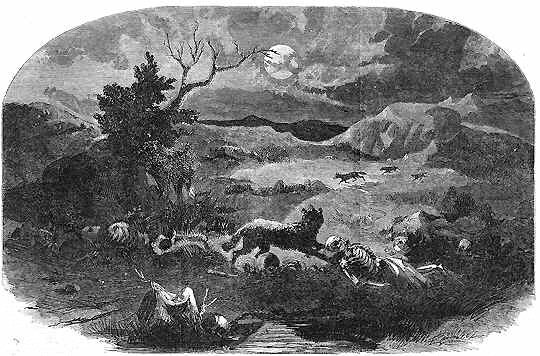 In 1857, some Mormons slaughtered a wagon train of Arkansans on their way to California. Disguised as Paiute Indians, the Mormons first hoped to only harass or rob them, suspecting that some of the settlers had been involved in the Haun’s Mill Massacre of 1838 back in Missouri. But the settlers circled their wagons in classic fashion, leading to a five-day standoff. The Mormons didn’t want word of what was happening to get out and panicked. They sent in a state militia pretending to act as intermediaries, asking the Arkansans to hand over their weapons in exchange for safe passage, then betrayed them and killed 120. President James Buchanan saw war against the Mormons as a way to unite feuding Northerners and Southerners — or, as historians allege, a cowardly way to dodge the more intractable issues of sectionalism. The actual Mormon War never really materialized. The army bogged down in a Rocky Mountain snowstorm and, like the Whiskey Rebels of 1794 and South Carolina Tariff Nullifiers of 1833, Mormons were not about to take on the U.S. anyway. Nonetheless, the show of force allowed the U.S. to take control of the region. 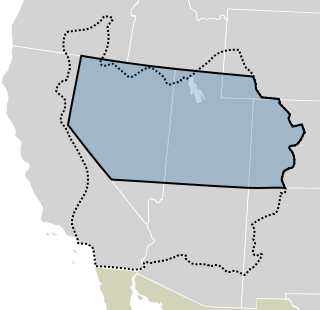 “Buchanan’s Blunder” at least succeeded in shrinking Deseret down to a smaller section called Utah after the local Utes, in the process redefining the territorial borders, including Nevada and western Colorado. And the U.S. banned polygamy in the territory. Further west, a town altogether different than Salt Lake City sprung up later named San Francisco, known then as Yerba Buena Cove. The “city by the bay” and Salt Lake City were as different as Puritan New England and Virginia were in colonial times. San Francisco was an excellent deepwater harbor that would have become a major city someday, regardless. But it boomed starting in 1848 because a carpenter named James Marshall discovered gold inland on miller John Sutter’s land, along the South Fork of the American River. Sacramento sprouted up around Sutter’s Fort and became the state capital two years later; California skipped territorial status. The sought-after nuggets came from deep in the Earth. 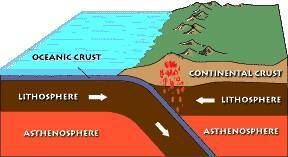 Like volcanic magma, gold magma seeps up to the surface over a geological subduction zone, in this case where the Pacific plate runs under the North American plate. Geologists estimate that ~80% of the gold in California is still un-mined. News of the treasure spread around the world, especially after the New York Herald reported the strike in August 1848. 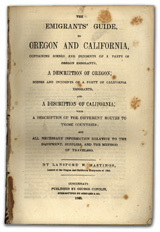 By the following spring, Forty-Niners from the U.S., South America, Europe, and Asia descended on northern California, becoming the Golden State’s “founding fathers.” It was far bigger than America’s first two gold rushes — North Carolina 1799 and Georgia 1828 — because there was more gold and the land it was on and it was unclaimed. Six more strikes followed that of Marshall at Sutter’s Mill. 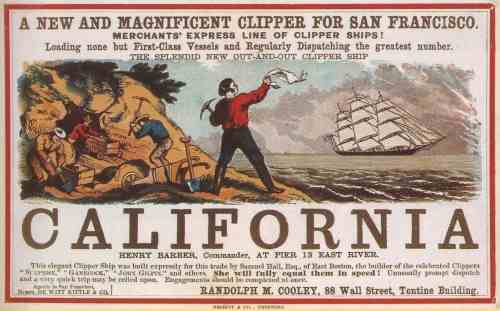 Even the crews of the ships that brought the 49’ers rushed to the gold fields, leaving their ships behind unguarded. So many abandoned ships clogged the harbor that the city sank them, poured sand on top, extended the city, and built new piers further out in the bay. Like Manhattan, San Francisco expanded on a garbage foundation. As is usually the case, those “mining the miners” made out best, or at least earned money most consistently. Real estate, prostitution, and hardware were thriving industries and, to this day, investors say pick-and-axing is better than going directly for whatever is currently standing in for gold. Too many people try that and only a few can get rich. Better to be the one selling the picks and axes to the miners. Unscrupulous merchants advertised false claims then sold tools to everyone who rushed in that direction. Arsonists set fires to San Francisco hotels on the theory that miners wouldn’t take the time to retrieve their gold as they rushed out of the building; then the arsonists moved in and mined the ashes. Other businessmen were more legitimate. Domingo Ghirardelli, who migrated from Italy via South America, sold chocolate while James Folger of New England sold canned coffee that could be easily transported to the mining fields. Isidore Boudin from Burgundy, France established a sourdough bread bakery that still uses its original “mother dough” from the Gold Rush era. Robber Baron Leland Stanford used the money he made selling groceries and supplies to miners to stake his claim in politics, railroads, and later his namesake university. Levi Strauss learned that miners were tearing up their trousers so he backed a designer who’d developed copper rivets to hold denim pants together better, in the process inventing the world’s most famous blue jeans. Next time you pull on a pair of 501’s®, you can thank the Pacific plate for running under North America and creating gold magma. Meanwhile, those that sought the actual gold found themselves waist-deep in ice-cold streams, panning silt to filter the tiny nuggets. The “Ballad of the Lousy Miner” captured their plight. Others re-routed rivers and streams into more elaborate sluices. Placer gold in rivers indicated more substantial ore deposits nearby, and larger outfits dug out mines. Indeed, some “struck gold” and made it rich, but less than 5% came home with any appreciable wealth. Most gambled and drank away their measly earnings. At first, it was a multicultural operation, but Whites soon kicked Chinese and Indians out of the streams and mining fields. The Chinese retreated to service industries like restaurants and laundries in their Chinatown enclave back in San Francisco, the nation’s most famous. Eight years earlier, Governor Peter Burnett wrote, “A war of extermination will continue to be waged…until the Indian race becomes extinct.” In 1852, the California Legislature paid militias $1.1 million to kill Indians. Officials statewide backed white squatters and crimes by individual Indians were punishable by wiping out their entire home village. Lynching Mexican-Americans, moreover, was common. San Francisco set the blueprint for mining towns elsewhere – Reno (silver), Denver (gold, silver, lead, copper), Phoenix (gold), Boise/Idaho City (gold), Butte (copper, silver, gold), and Seattle (gateway to Alaskan gold) also boomed and survived. 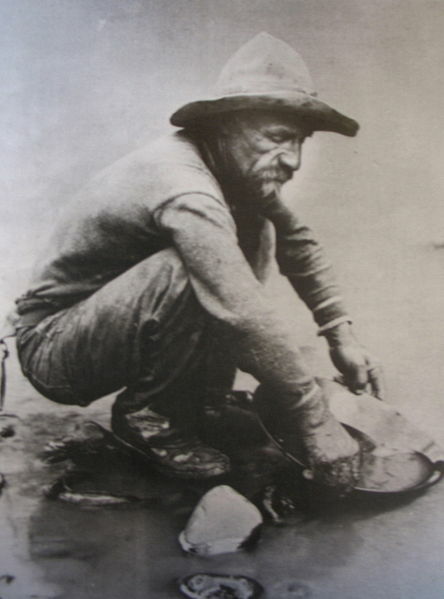 These towns, too, had successful “pick-and-axers.” Born sixty miles south of the Arctic Circle, Swedish immigrant Johan Nordström moved to Seattle at sixteen and supplied shoes to miners headed to the Klondike Gold Rush in Alaska, using seed money from his own gold claims. Dozens of other settlements died away as ghost towns once their mines went bust. The Wild West of these mining towns gave the era and region its distinctive flavor, along with cowboys of the next generation. Meanwhile, further east, Americans fretted over the West’s future economy. California was really a separate economy with plenty of its own currency (gold bullion), spurring national politicians into settling the West faster than they otherwise might have. Abraham Lincoln, in particular, promoted construction of the transcontinental telegraph and railroad to northern California in the 1860s for that reason, and the Pony Express followed more or less the same route. 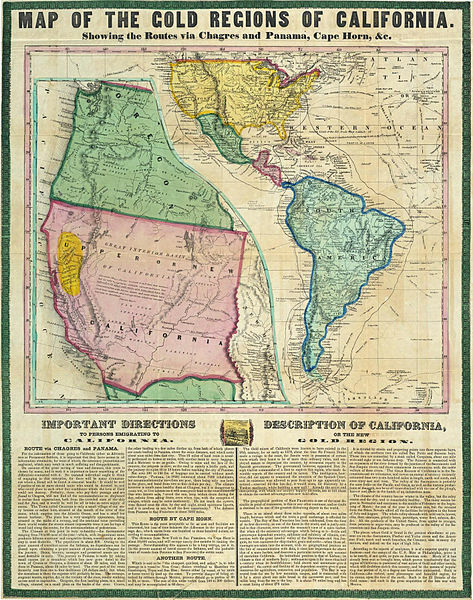 But even a decade before, California’s growth helped trigger the sectional crisis between North and South. Would planters import slaves there or would the freewheeling Whites that came to mine gold and service miners take control? At stake was the balance of power for the whole country.